June 6th. 2014. 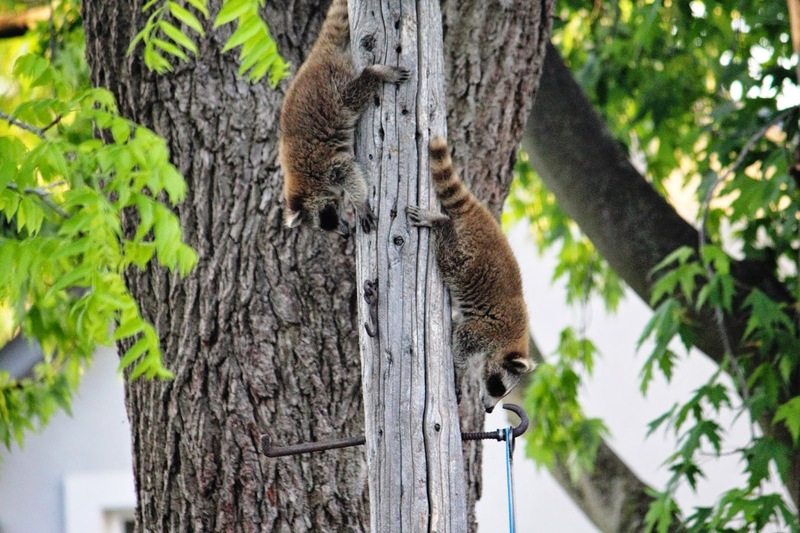 While checking my family of Robins, I notice these two young raccoons playing on top of an old telephone post that was used for clothes lines at one time. Had enough at the top of the post and on the way down now. 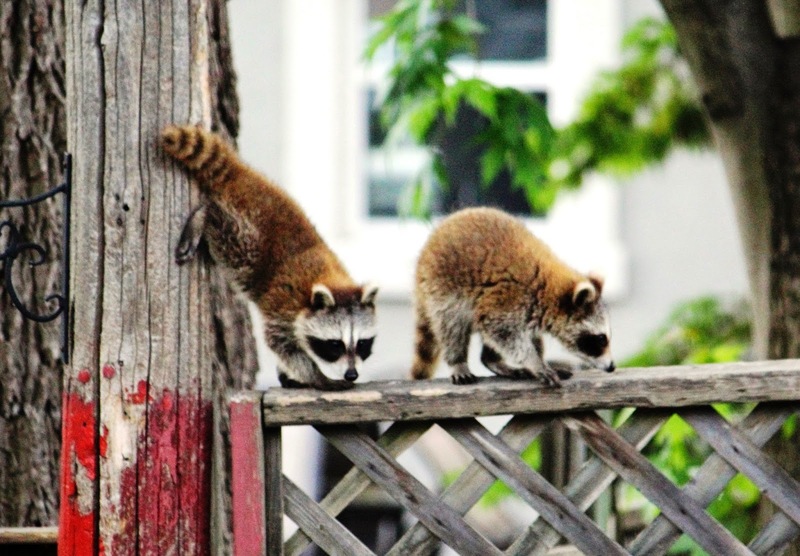 Two little bandits for sure. 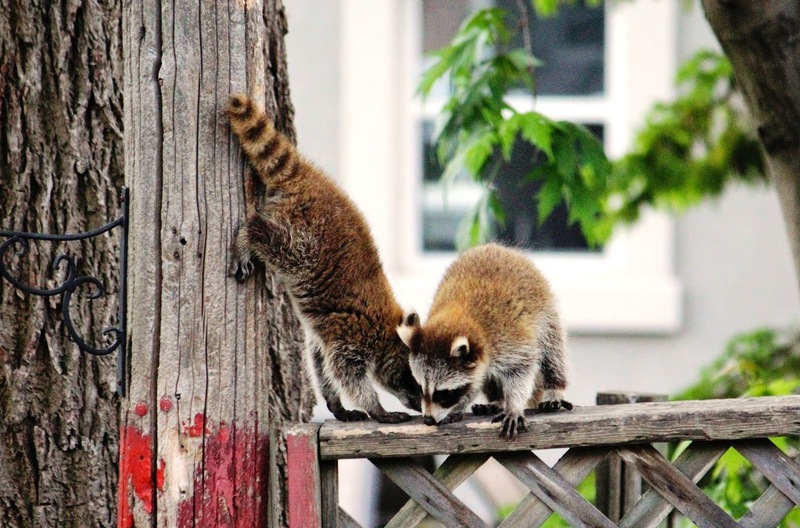 Next generation of garbage can raiders to look forward to. Can't get down there. 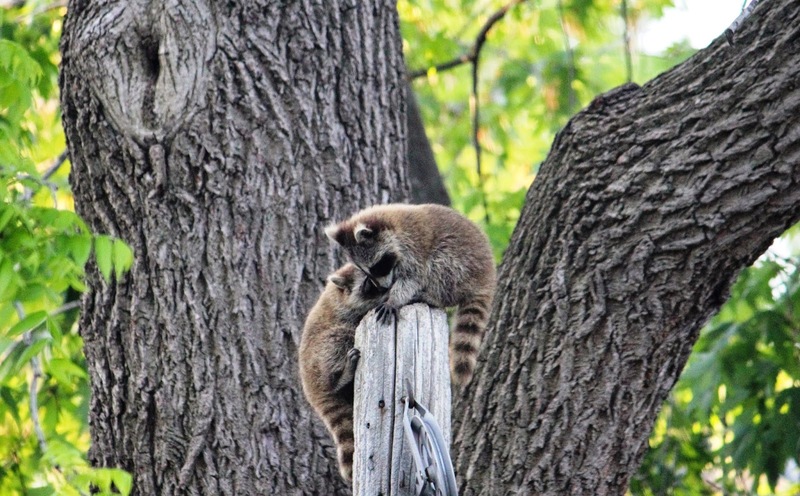 They left along the fence line and I'm sure they will be back in the morning.